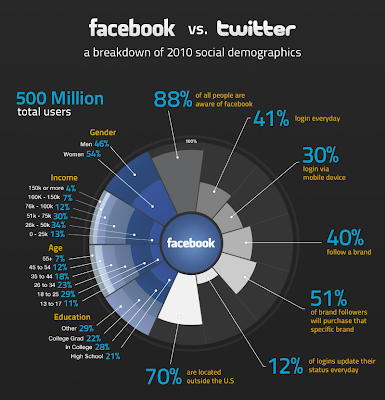 Here is an interesting demographic breakdown of users using the social networking sites Facebook and Twitter. 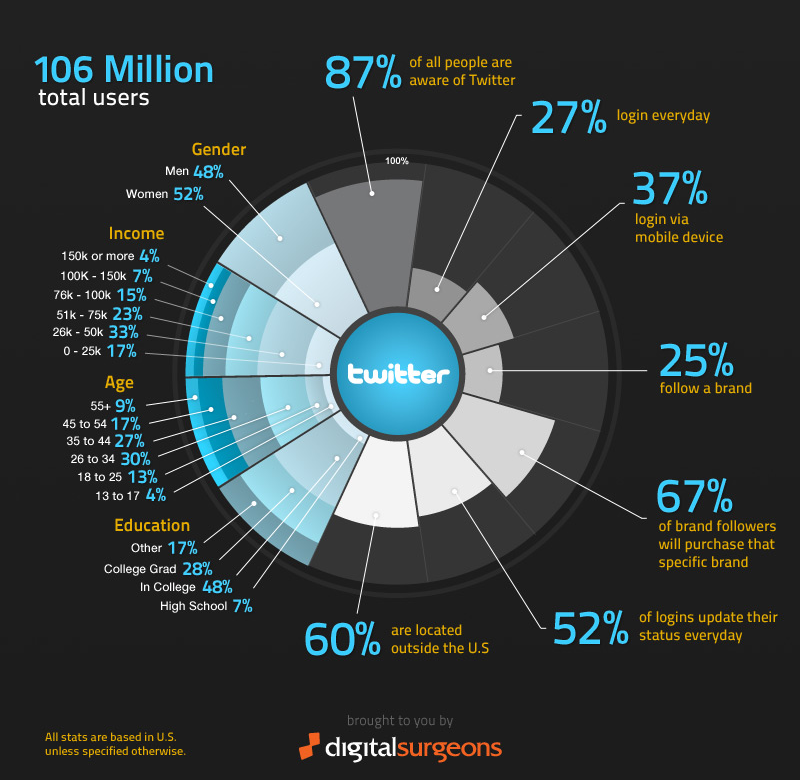 It has been released by Digital Surgeons. It reveals that out of 500 million Facebook users, 54% of them are women, 30% out of 100% users login via mobile device and 70% are located outside the US. To get the actual size image, click here. How to Use Static IP for WLAN in Nokia C3-01?